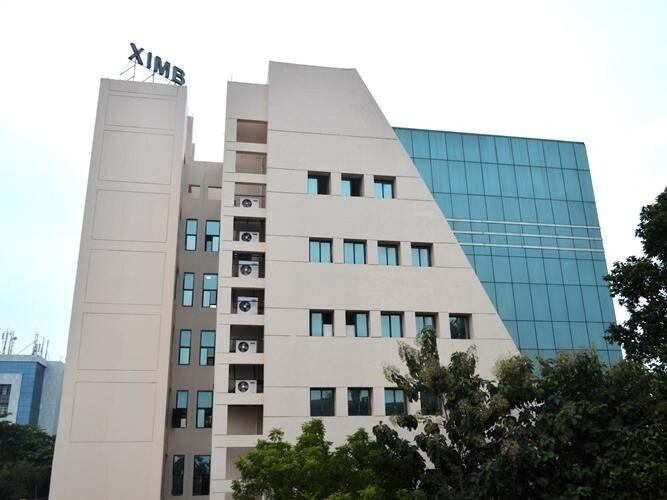 With gleaming sunshine waking you up to bidding goodnights at 4 am, XIMB is a world in itself and much more than that. Not for a moment had I thought this when I got my offer letter for XIMB-BM. From X-walks to crazy batchmates(-meets) there is so much uniqueness to this phenomenon called XIMB. Being an avid researcher, I collected as much information I could about b-schools as possible. But XIMB is an unparalleled venture in itself. The never-ending drama of a single day is so humongous and composite in itself that can contribute to the content of a week’s daily soap. The first thing I came across at XIMB was the “extended” 24 hours. The usual is a basic 4 hours powernap. A regular day here starts with waking up late for breakfast (“every single day”), a quick shower, a guest appearance at the mess (Thank God for mess “bhainas”) and a rampant run to the class. As classes end along with the academic agenda of the day, starts the real MBA. Juggling between smart casuals and batch meets the evening goes by like a whirlwind. Then comes the time for the X-walks (Networking is the key). Struggling to reach on time for quizzes to meeting deadlines XIMB has its huge share of fun too. Every single day is an occasion, be it X-sports with section wars (YES it’ real) or X-capade, the flamboyant cultural event, every single committee works so hard to make our welcome smooth and fun-filled. Being a basketball player and a dancer, the level of my engagement and enjoyment had surpassed all cloud nines. Amongst all this, I got elected as the cultural representative of my class. And all the above-mentioned activities took place in three simultaneous days. Holding a POR is one thing but enjoying yourself thoroughly through your work is another. That’s exactly what XIMB gave me. Celebrating birthdays and making people happy can really turn things around in life. Also representing the cultural ensemble of XIMB is nothing less than a privilege on its own. From a crazily beautiful campus to some really unique batchmates, XIMB has it all. There are people from a psychology background who were professional gamers during their higher secondary education, and then someone who can beatbox his way right into your heart but has three years of work experience. XIMB is very well known for its enriching culture and diversity but to witness it live is a phenomenon on its own. I would like to work for Aditya Birla Group Fashion and Retail Limited company. Having a knack for marketing and being able to comprehend the needs of the market (namely styling and accessory requirements), also having had a page on Instagram to expose the world to great fashionable tastes at affordable rates (according to target groups) I believe my specific skill set shall be best suited under this particular header.